While the CBC’s director of journalistic standards and practices since then apologized for the framing of the issue, he failed to understand or acknowledge the main reason why readers were complaining about the article, and so I urge the CBC to do better. The CBC declares that its mission is to serve the public interest, among other things, through the principles of accuracy, fairness, balance, impartiality, and integrity. However, the above-mentioned article fails to conform to those standards, as corporate interests are overrepresented at the expense of local Brazilian economy and Indigenous safety, among others. 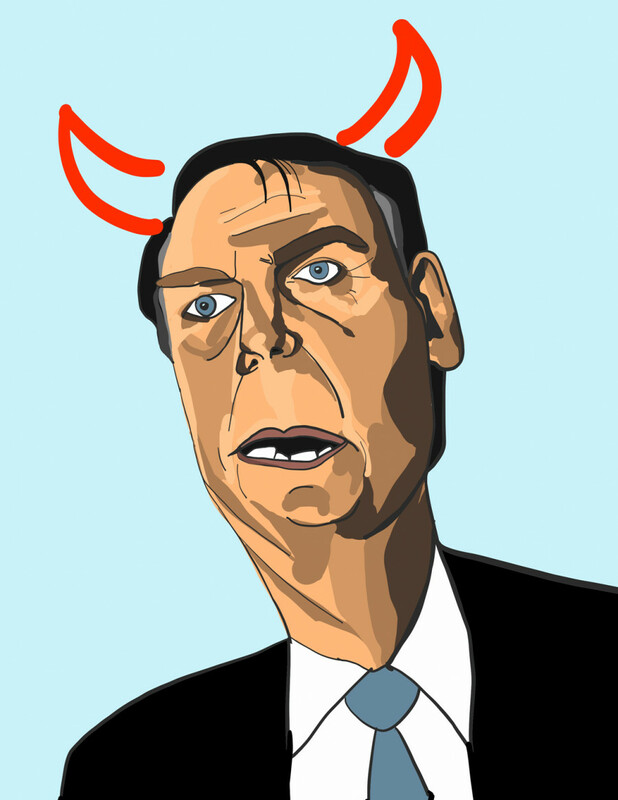 By presenting Canadian business interests as the primary issue, and not talking about the international agreements that Jair Bolsonaro’s administration, as well Canadian companies will violate, the article risks swaying the average Canadian person who does not know about Brazil towards supporting Bolsonaro’s regime. This is not responsible. In his article, Arsenault’s use of language is not impartial, though may appear so at first sight. Arsenault talks about how miners could “benefit from relaxed regulation,” describes new business “opportunities,” and says how Bolsonaro’s policies could mean “big gains” for Canadian investors, in contrast with the losses that the Amazon will experience. What it does is show Canadian interests in positive terms—interests which Canadian readers will likely side with by default. Meanwhile, the losses will be experienced by the Amazon rainforest, something that Westerners culturally perceive as an inanimate, lifeless object rather than an ecosystem crucial to the survival of the planet and the home of many Indigenous peoples. Arsenault neglects to report on the impact of Bolsonaro’s presidency on Indigenous people. Moreover, none of the people who are cited in the article are Brazilian economists or policy makers. All the Brazil experts cited aren’t actually from Brazil, instead they are giving an outside perspective. This creates an uneven portrait of the situation, where Canadian investors and companies are given names, while critics of Bolsonaro’s policies and the trade partners are not. This has the effect of portraying Brazil as not a place with multitudes of humans with their own interests, but as a faceless, distant entity, which for the Canadian reader unfamiliar with the cultural and political richness of Brazil, makes it easier to accept their exploitation. Another disturbing tendency I have noted in Arsenault’s writing is that when he presents the point of view of environmentalists and Indigenous groups versus that of Bolsonaro supporters, the language he associates with the latter side is neutral, while he portrays the former with words that have negative connotations. Bolsonaro supporters backed him, while his opponents are said to have lambasted him, even when these groups criticize him in self-defence from threatening statements by Jair Bolsonaro. Rural lawmakers say that Brazil’s rules are too strict, but environmentalists and Indigenous people accuse him of endangering the planet, a term which does not necessarily imply that they are right, and posits the latter group as either hysterical or dishonest compared to the former. In fact, the CBC apology itself uses the same language, saying that Bolsonaro is “accused by his critics as misogynistic and homophobic.” The word accuse implies there is a debate, when there is no dispute: Bolsonaro is homophobic and misogynistic. Arsenault later tweeted in his defense that his article was simply “business report looking ahead” and that he does not endorse the destruction of the Amazon. While analytic articles do have their importance in journalism, this does not convince me. If this is truly an impartial business report looking ahead, then why does he not mention the reaction of Brazilian economists who oppose Bolsonaro? Why does he not mention what this might mean for small farmers and poor Brazilian workers? Why does he present such a defeatist picture of Brazil, which gives the impression that there is nothing to be done and thus encourages complacency, when there are important international legal principles that the Bolsonaro government and Canadian investor would be violating? These are all business concerns, but since they overlap with human rights, that seemingly makes them disposable. In reality, both Canada and Brazil signed UN covenants, conventions, and declarations, which would pose challenges to business interests, but Arsenault does not discuss them in depth. The International Covenant on Civil and Political Rights The International Covenant on Economic, Social, and Cultural Rights as well as the The UN Declaration on the Rights of Indigenous Peoples enshrine Indigenous peoples’ rights to self government, self determination, and the pursuit of their own economic interests. Most importantly, the UNDRIP says that indigenous people “shall not be forcibly removed from their lands or territories” by states. Why does Arsenault leave out such crucial information out of his article? In response to tweets that challenge his normalization of the terrifying situation of Brazil, he replies that “the purpose of the report is that markets are amoral.” This is the most infuriating comment he makes. His claim rids actors from their responsibility. He talks about markets as if they are nature, and not something shaped by policy and choice. Markets are not amoral. They are shaped by powerful people who are deeply _im_moral. They are shaped by governments who do not have regard for human dignity. The investors the article mentions are ready to be complicit in human rights violations, impatient to sacrifice the planet for petty gain. The market does not exist in a vacuum, it is shaped by policy and the people participating in the economy. To ignore those things paints an incomplete and dangerous picture of the economy and western capitalistic society in general. In the same way that amoral markets are a fiction, so is impartial journalism. Arsenault pictured a future for Canadian businesses at the expense of suffering people whose stories are not told and disregarded to name the international laws that would violate. Arsenault shied away from calling Bolsonaro what he truly is: a fascist. Arsenault failed to mention that Bolsonaro compared Indigenous reserves to chicken pox scattered across the Amazon, stripping them of all humanity or dignity, comparing them to something that should be exterminated. This is genocidal rhetoric. He failed to mention the fact that dispossessing Indigenous people of their land is yet another step to their genocide. Failing to call fascism and genocide by their name is anything but responsible. There comes a time where human morality comes above journalistic standards, which in many cases are not met. In reality, my issue is not only with Arsenault, not only the CBC, but a culture in mainstream journalism that pretends to be neutral by maintaining the status quo, by hiding behind a veneer of objectivity but using words with heavy implications, and by giving platform to those who are already powerful, instead of showing the truth of those who are powerless, and whose stories are not known to the world. Fascism doesn’t come out of nowhere. Fascism requires fascists, but most importantly people who pass no judgement while fascists spread their platform. Arsenault chose to write about the money Canada could make in Brazil, but did so at the cost of Brazilian dignity. That is the real price of so-called impartiality. Analysis pieces have their place in journalism, but they have a responsibility to fairly represent all the angles of an issue. Fair reporting should shed light on those on the frontlines fighting for their rights. Fair reporting should not make a foreign country look like an object to be exploited. Brazilians deserve better. Latin Americans deserve better. Indigenous people here and abroad deserve better. Because an uninformed Canadian reading this article may very well think that the devastation of Brazil is worth some few million dollars that would never land in their hands either way. And maybe this is not out of malice. Maybe you do not have the same historical heritage that makes you wary of passivity in the face of fascism. But I really hope that you trust my words and believe me now when I say that the way the article is written is harmful, rather than wait for such suffering to happen to you in order to understand. As a Jew, I cannot bear to be silent when I see the normalization of the far-right in media while the military police of Brazil suppresses dissent and minorities are under attack. As the friend of many LGBTQ+ Brazilians, I am disgusted to see that the press of my country cares more about economic gain than the very real danger they and countless other minorities in Brazil face under Bolsonaro’s government. As someone who loves their family, I am heartbroken that my country’s media presents them not as people with aspirations, but as faceless entities to be exploited.